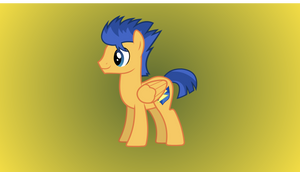 I currently getting my cosplay for 'Flash Sentry' and I needed his cutie mark for the t-shirt I'm going to be wear so I got a screen cap and vectored it. Used here, if that's okay. Amazing work! Hey, might if I use it?? Turns out I'm going to make a Flash Sentry cosplay as well. Judging by the lightning bolt, the shield, and how Flash Sentry helped Twilight, my guess is his cutie mark symbolises dependability. Despite being out for almost three months, Equestria Girls has left such an impact on the My Little Pony brand and the brony fanbase that it continues to be a much discussed topic and it probably will co ntinue until Season 4 rears its head in November. 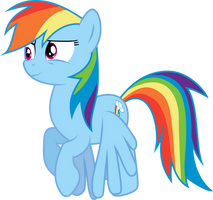 At this point, most bronies worth their salt have vocally expressed whether they liked it or not in some capacity. However, there is one particular talking point that, at least for me, continues to linger in my mind despite believing that I finally put it to bed. It’s been picking at me for the longest time and I honestly never knew if I would be able to find the time to put down my thoughts and properly address it. Thankfully, the stars have aligned and given me a small window of opportunity to write this, so with that in mind, let’s talk about everyone’s favorite stealer of waifus: Dreamy McCutebottom Flash Sentry.